I believe that we are given a full rainbow component of emotions for a reason. This seed was planted long ago by a therapist who, when I told her I wanted to get rid of my anger, suggested instead that I bring all my emotions to the table and listen to why they are present and what they have to teach me. Emotions aren’t positive or negative; they just are. The Dalai Lama says that he gets angry, but he doesn’t hate. That means he feels anger, but he doesn’t hold on to it. Who am I to try to be more spiritual than the Dali Lama? When he didn’t come to get me, I had this understandable but absurd idea that as a good and loving wife I should take my own life to go to him. I researched suicide. Ultimately, I realized I couldn’t give the grief that I was experiencing to the people who loved me. I couldn’t even give it to the person who would find my body and have to live with that trauma. I was stuck in what I began to call the waiting room. What was I going to do now? There are two things I do that are most helpful. I show up at places where life is happening and wait for it to seep back in. In the beginning, I knew I liked theater, so I went. I slept through everything. I even slept through Hugh Jackman and Daniel Craig. Then I saw Carrie Fisher in Wishful Drinking and I not only stayed awake - I laughed. She chose me for an audience participation sketch. When it finished she gave me a medal on a ribbon. I still have it to remind me that I can grieve and laugh too. The second thing is being of service to other people. In the beginning, when I spent most of my time in bed watching DVDs, I looked for people on Facebook who were struggling. I posted encouraging comments. As I went many different places to get help, I was able to do more. 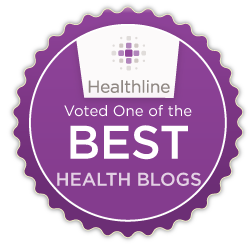 Since my husband was a recovering alcoholic who was always available to other alcoholics and addicts, I decided to honor him by being available to other grieving people. I figured that if I reached one person, that would be enough. I never imagined I would have a Facebook page with over 2 million likes from all over the world. 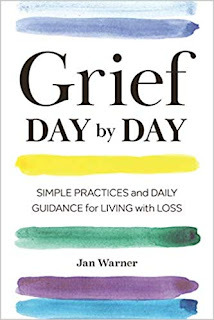 I never imagined I would have a publisher ask me to write a book on grief, featuring simple practices and daily guidance for living with loss. I got tired of bereavement groups and therapy. Everything was too sad. I took a class in comedy sketch writing. When the teacher asked why I was there, I said, “My husband died so I thought I’d do comedy.” I was a house who had been blown to bits in an unexpected hurricane. I was putting those bits back together in rather odd and broken ways to rebuild myself as a person. 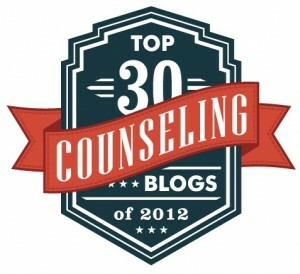 As I am writing this, it has been over nine years since my husband died. People ask, “How are you?” Sometimes I respond, “Magical and awful.” Sometimes I respond, “Wonderful but my husband is still dead.” I was told that “normal” grief lasted six months to a year. There is no such thing as normal grief. Wherever you are, whatever you are feeling is exactly where you are supposed to be. I never ask myself if what I am doing is normal. I only ask myself if it is serving the life I want to live. Then if I can change I do; if I can’t change I have to find forgiveness for myself. When someone central to our life dies, it is normal to miss them for the rest of our lives. I will always grieve for my husband. I will always be sad, angry, confused, bitter, resentful that he is dead. I don’t want to be fixed. The depth of grief measures the height of love. I will always grieve for my husband. I will always be grateful, loving, compassionate, clear sighted, and truly delighted for the time we spent together. I don’t believe death ends a relationship. Even if I did believe that, I still want my husband’s life to matter more than his death. I remember him at his best and his worst and I love him more each day. I feel him holding out his love like a kite string for me to grab onto and soar. The depth of grief measures the height of love. My husband used to say, “We only have moments.” My goal became to have more joyful and productive moments. I have had many adventures in these nine years that I would not have wanted to miss.I still make time to wallow in sadness and loneliness. For me, it’s all part of being fully alive with grief. My husband always called me Panache. I try to live with panache in the hopes that wherever he is, I make him proud. 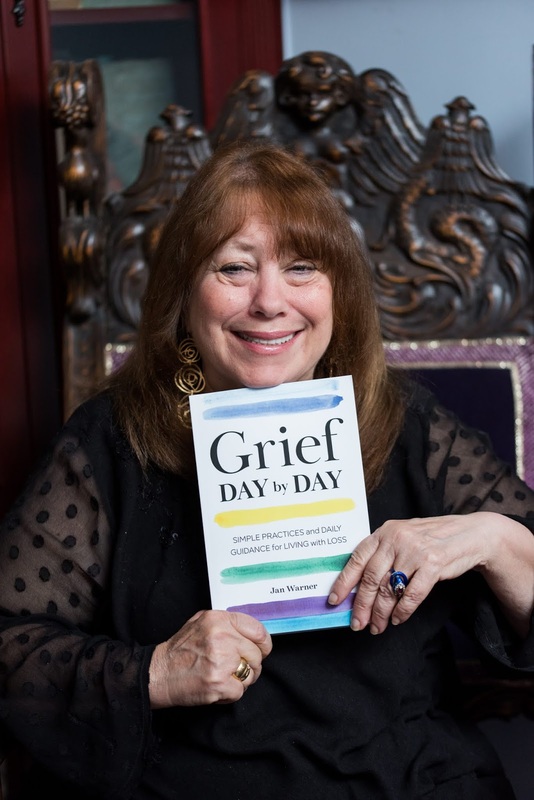 About the Author: It seems impossible to Jan Warner that she has lived on so long without her beloved, yet within that impossibility she has had many adventures, having traveled around the world and visited all seven continents. While she loves being a mother and a grandmother, she's also produced a number of plays and documentary films. Through her Grief Speaks Out page on Facebook, she is both humbled and gratified to have created such a loving, supportive, international community for herself and her fellow grievers ~ still going strong after five years and with over two million followers. 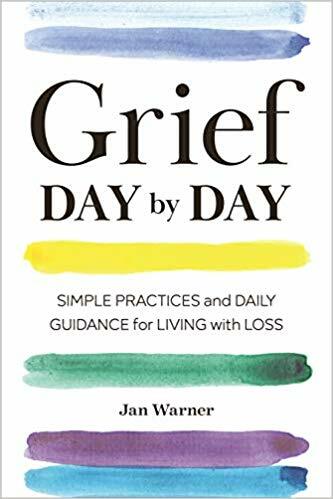 She hopes that her newly released book, Grief Day by Day: Simple Practices and Daily Guidance for Living with Loss will also be a loving support for grief warriors everywhere. Find Jan on her Facebook page, and visit her blog here. Your feedback is welcome! Please feel free to leave a comment or a question, or share a tip, a related article or a resource of your own in the Comments section below.If you’d like Grief Healing Blog updates delivered right to your inbox, you’re cordially invited to subscribe to our weekly Grief Healing Newsletter. Sign up here.